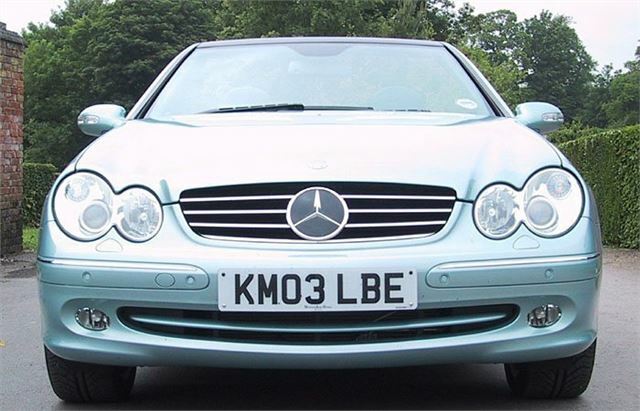 In summer 2003, Mercedes launched the new W203 CLK Coupe. In 2004 they launched the version for summer. The CLK Cabrio. And just look at it. 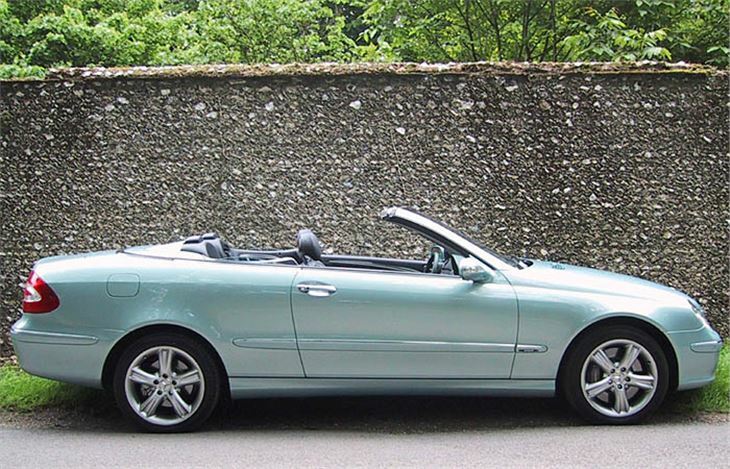 Have you ever seen a more gorgeous convertible? There's been a long wait, and the waiting list is long. But those in the know ordered theirs a year ago and deliveries begin on 19th June. Apart from looking simply stunning, everything else about the car is an improvement on its predecessor. It doesn’t twist and flex and rattle. It handles nicely. It has a super range of engines from the excellent new 163bhp 1.8 litre supercharged four to a 367bhp V8. 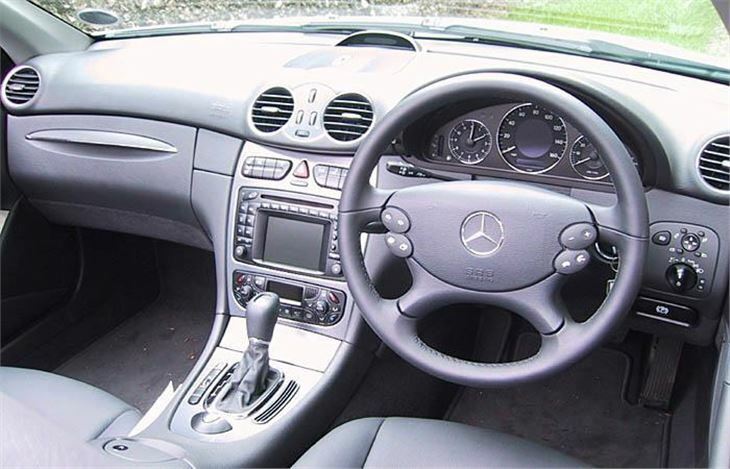 Manual gearboxes for the two smallest engines are six-speed. Obedient 5-speed autoboxes are available for all. It’s comfortable, smooth and it still looks a million dollars even with the hood up. And that’s very special, too. Hand-assembled in 550 stages from 830 parts and capable of withstanding a direct lightening strike. 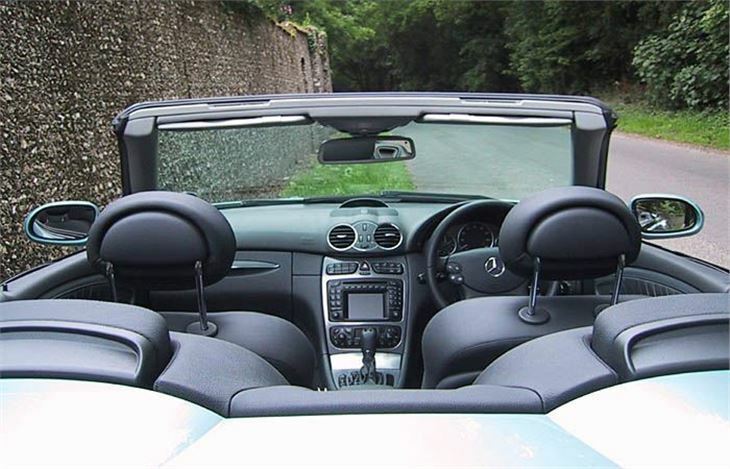 Sorry, I didn’t take a picture, but take it from me it has the largest window area of any convertible I’ve ever seen. No blind spots. Almost as much glass as the coupe. 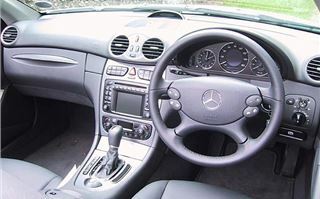 The top goes down in 17 seconds, and back up again in 20 seconds all at the pull or push of a single button in the car or by pressing keyfob buttons. 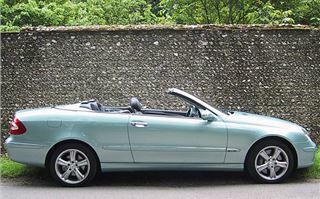 Being sensible, we took the 163bhp 200K out first. And though at £31,245 (£3,600 more than the coupe) it’s half the price of the 367bhp AMG, its far from a poor relation. It’s not a fast car, of course. 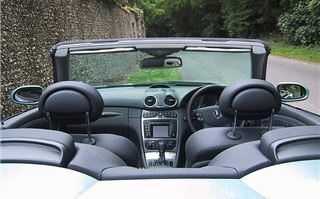 But convertibles are for cruising, top down at moderate speeds, so they don’t really need to be fast. 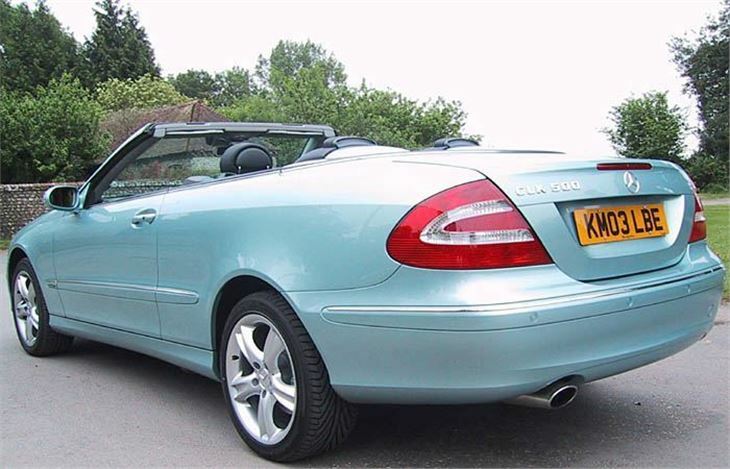 The new engine is so smooth that anyone with bad memories of four cylinder Mercedes will be very pleasantly surprised. Next, the 306bhp 500, a stiff £47,285 worth without the extras. But the torque of the engine (all 460Nm) meant it didn’t feel quite as stiff as the junior car. But it went like stink and the ESP made sure it puts its power down properly without getting unruly. It’s hard to justify the extra expense, but anyone who can afford one of these doesn’t have to. 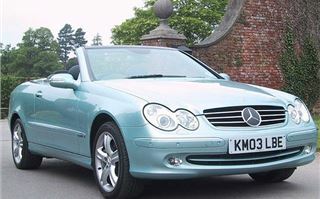 Joint best seller along with the 200K is likely to be the 218bhp £38,705 320. A lovely, lovely car. Without the snarly power of the 500 but with enough grunt to require restricting to a top speed of 155mph. Didn’t try the 240, nor the 55AMG with 170bhp and 374bhp respectively. But they complete the range. 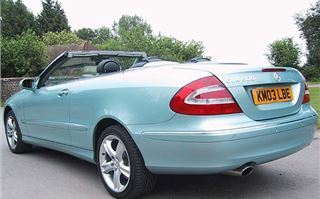 MB doesn’t seem to have plans for a diesel version.